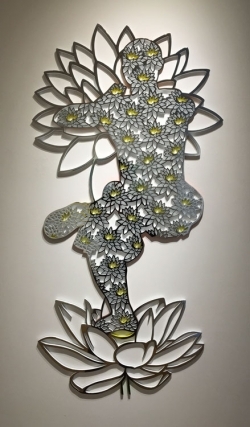 Nicholas Auen’s figurative wall reliefs are a fascinating mix of highly reflective surfaces and negative space. 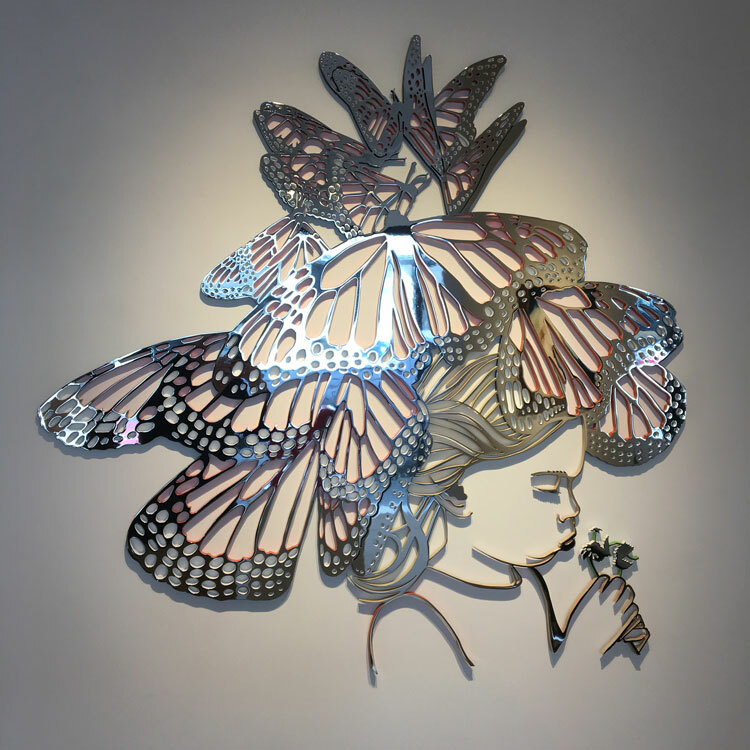 Crafted from polished jet-cut aluminum, the organic lattice-like compositions translate the artist’s personal experiences into cognitive imagery while engaging the viewer’s reflection into their fluid, asymmetrical form. 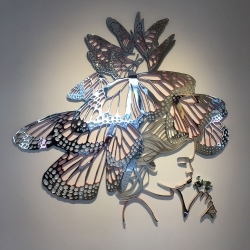 Having studied with esteemed glass artists such as Dale Chihuly & Therman Statom, Auen seeks to create art that conveys messages through multiple mediums. The artist holds a B.A. in Art History from Arizona State University and currently resides in San Diego.